The best thing about Whimsy is the owner, Beth. I have a girl crush!! Haha. I do not shop consignment…. until I discovered this gem of a boutique. New and very selective gently used treasures everywhere you turn. Eclectic, high fashion, trendy, different (in an awesome way). Just try to run in for a quick look… It’s impossible! Plan to spend some time and have some fun! This is a treasure of a place, The house is transformed into a great boutique, full of wonderful clothes, shoes, pocketbooks, and some funky jewelry to match any outfit! Beth is one talented lady…go check it out for yourself! A WONDERFUL consignment boutique! Beth and staff have an eye to put things together that look good on you! They know their inventory and pull things out of their hats to show you combinations that you would never have thought of! The items that they carry are unique, up to date, and fashionably current. Fabulous, beautiful shop!! Beth has an amazing flair for displays and for making customers feel welcome. Gorgeous selection of plus size fashion, too! Lovers of consignment and resale: brace yourselves. This consignment shop occupies the entire first floor of a huge and beautiful Victorian home. Just when you think you’ve seen the entire place, it unfolds into yet another room, and then another. Not only that, they have ….a healthy mix of authentic vintage (a pair of art-deco printed Chico’s jeans from the 1980s), along with remarkable mint condition resale pieces (a silk Nanette Lepore blouse and Desigual tunic – both still with the original tags). Expect an average price of $35 per piece. Hit this store while you’re on Cape Cod, it’s one of the best I’ve ever been to. Amazing! Bought a gorgeous vintage tapestry bag. Great staff/owners. I visit every time I’m at the Cape. I LOVE this store! I always find great stuff here. I just bought some AWESOME boots. Beth and her staff are the BEST! As both a consumer as well as consignee, I love that Beth has such discerning tastes. I enjoy selling at her shop….and ditto for shopping!! Hope you’re all having a great summer. Hope to see you soon! A fun place to shop for special and boutique consignment clothing. Never disappointing….. very helpful staff. Make sure you go here first! Her store is gorgeous with varied merchandise. Shoes, scarves, pants, shirts, dresses, jackets, and even some accessories. Personalized recommendations and assistance abound. For something unique and special, this is one of the best places I’ve found on the Cape. I came to Whimsy on a whim today with my mom and sister. I love resale shops, but I find that most are not compatible with either my budget or my build (I am curvy with a broad upper body). Beth was so patient and helpful in helping me find dresses for my new, post-college court journalism position in Virginia. She even marked down all three dresses and a beautiful pair of heels for me and was kind enough to gift me with her beautiful scarf that went with all the dresses. I love this shop….always something I must have with so many styles and colors to choose from. And Beth is so helpful, its a must!!!! Whimsy is by far the best consignment shop on the Cape!! The shop is well organized with amazing items I always find something whenever I visit!! Every designer imaginable it is a must hit while on the Cape! The staff makes you feel right at home …..and they usually have little goodies too, yum yum!! Amazing store and an absolutely charming owner. Love you Beth and your store rocks. Some of my favorite purchases have been from this store and living in Boston, I can shop anywhere. Bachelorette party at my favorite store! Thanks Beth and Jody for a great evening! Love this store! They have beautiful and unique pieces. I wish I lived at the Cape year round so that I could go shopping/visit more often. Shopping at Whimsy is always a wonderful experience. Interesting, fun and yes, whimsical! Beth is great! My Friend and I had the very best time at Whimsy today -Sunday – Funday! Can’t thank Beth and her staff enough for being so inviting and helpful and having some of the best finds around! I Just LOVE my new coach boots and am so happy to have such a fun, friendly place to shop close to home!! Whimsy Moved – just 2 miles down the Street – it’s still in Harwich – it’s just across from the Irish Pub. GREAT space – much more room – and parking is easier too. I always find something special here – not just clothes either – shoes – Pillows- furniture – I can’t wait to go back next week and get some summer starfish with Bling that I just saw on their facebook! Beth and her staff are just the sweetest, most helpful people – not only do you get something you love – you get a great deal too! This is my favorite consignment shop. Beautiful colorful women’s clothing and accessories in a renovated Victorian house overlooking Herring River on rte 28, good parking too. Beth and her staff do an over the top job. I love going there and always find something special. Hello all! Please visit this excellent shop. Beth and her ladies are wonderful. So refreshing, fun and enjoyable to shop at this boutique. There are many rooms with new items every day. Prices are reasonable. Everything is always organized by size and category which makes it simple for a quick stop but you will want to take your time. There are also other cute shops just next door and down the Main Street. Completely worth a special trip. Bring your friends. It will be your new favorite. I just got another fantastic designer bag from this fabulous, unique boutique. So many great things to find here, love it. 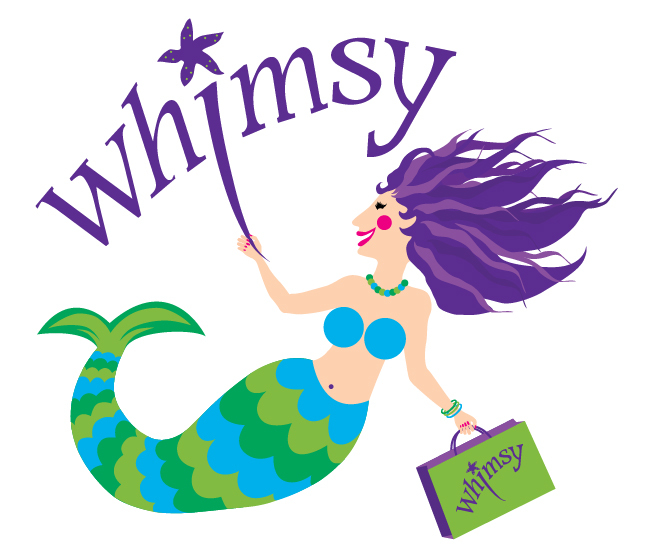 Whimsy in Harwich, is my “go to” Retail Therapy store!! Even when I don’t need a thing I like to go visit Beth and her staff as they are so kind and always have a nice compliment and a warm smile for you! You can always find something special there – They have all sizes and great fashions! I love this shop. Not only do I consign with them I buy from them. They have quality clothing and unique handcrafted items from Local Cape Cod artists. It is worth a visit especially if you are looking for unique items. The staff is friendly and helpful too. Bright, nice, friendly. Good selection of higher end brands, and welcoming to the men folk that have to bide our time. This shop is adorable, the prices are decent and there’s a good mix of stuff for older and younger ladies. I happened to show up on their 2 year anniversary and got an adorable striped maxi dress at 25% off. This is one of the better consignment stores I’ve been to. Very nicely decorated and the prices are very reasonable. Whimsy … is easily one of my favorite clothing stores on the Cape. The owner is very warm and friendly and truly a pleasure. I have found some great accessories and cute outfits at extremely reasonable prices…all high end brands. Great location and parking too!